Connections between the people of Wales, Cornwall, Northern Ireland, Scotland, - the so-called Celtic regions or nations within the UK - and their links with England have been thrust into the headlines recently. The BBC has reported that a major study of DNA by experts at Oxford University reveals that genetically there is not a unique group of Celtic people living in the UK[i]. Genetics apart, however, it is arguable that geography, history and culture have interacted to ensure that places like Wales and Ireland share a good many characteristics. Early spring affords a couple of examples. In the sporting arena, March has demonstrated their dazzling prowess on the fields of rugby. Culturally, the countries’ patron saints are celebrated days apart, March 1 and March 17 to be precise. In music, the common denominator is internationally-recognised quality. Wales has Bryn Terfel, Katherine Jenkins and Tom Jones; Ireland has Van Morrison, the Chieftains and James Galway. In poetry, Dylan Thomas and Seamus Heaney are two of many accomplished wordsmiths. Whether sung or spoken, it is apparent that love of words is a common bond that unites people in Wales and Ireland. Why are connections between words and expressions in different languages so endlessly intriguing? As an A-level student, I used to marvel at unlikely verbal similarities between Irish and French. My small store of examples included the English word egg, which (especially when pronounced) is practically the same in Irish ubh and oeuf in French. Church in English is eaglais in Irish and the French église has a similar resonance. Book in English reads as leabhar in Irish (where the aspirated b becomes a w sound rather than the v it becomes in other contexts) and in French this is exactly what seems to happen with livre. Other examples of Irish and French words that differ from English include money which is airgead in Irish and argent in French (both also meaning silver). A final example is the English salutation Good Health or cheers, in Irish sláinte and the similar (but not identical) santé in French. Building on this background, I want to compare some everyday aspects of Welsh and Irish linguistics including, for good measure, some sideways glances at Cornish. We will examine some nouns, followed by a look at grammatical forms where words can mutate, consonants can be eclipsed, and vowels lengthened. Just how much joy and excitement can linguistics throw at us? To round off, we will consider a sample of surnames and place-names to exemplify further linguistic and historical connections between Wales Ireland and also Cornwall. There are two families of Celtic languages, representing separate immigrations. [iii] The Goidelic (or Gaelic) branch includes the Gaelic of Ireland, Scotland and the Isle of Man; the Brythonic (or British) consists of Welsh, Cornish and Breton. This explanation comes from the man credited as the father of reviving the Cornish language, Henry Jenner, just over a century ago. Perhaps this background rationalises the closeness of some Welsh and Irish nouns and verbs at the same time as an apparent absence of connection in many words. Ellis cites the example of the number four which in Irish is ceathair and in Cornish is peswar. Four in Welsh is pedwar. Other P Q examples are the Celtic languages’ word for head: in Irish it is ceann, in Welsh (and in Cornish) it is pen; the English word son in Irish is mac, and in Welsh and Cornish is map. This illustrates that the P and Q impact can appear at the start and/or end of nouns. Another example is the English word everyone, which in Irish is cách (or gach duine) and in Welsh is pawb (pup in Cornish). Cornwall’s patron saint is St Piran. 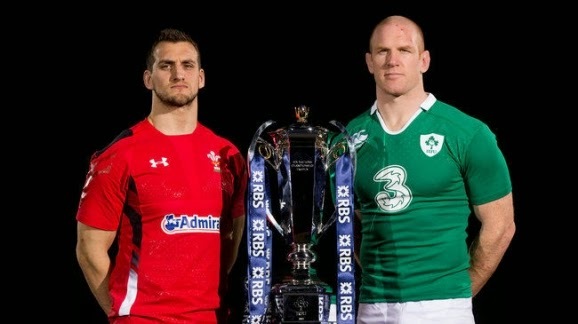 The occasion is marked, as with the Welsh and Irish equivalents' in March (the fifth). Most interestingly, this name is another example of the P/Q differential. Piran is the Cornish form of the Irish Ciarán. Since Irish (I) is a cousin rather than a sibling of Welsh (W) and Cornish (C), it is all the more exciting to discover words which are comparable as they look and sound similar in all three languages. The English word Land is tir (W), tyr (C), tír (I); wave in English is ton (W and C), tonn (I); river in English is avon (W and C), abhann (I); weather in English is amser (W and C), aimsír (I); the adjective sweet in English is melys (W and C), milis (I); and full in English is llawn (W), lun (C), lán (I)[v]. the English book is leabhar (I), llyfr (W), and lyver (C). I also detect similarity in rhythm, if slightly less similarity in pronunciation in the Welsh and Irish words for the English adjective cloudy, gymylog (W) and scamallach (I). Sameness and difference are also evident comparing days of the week in Welsh (W) and Irish (I). Monday is dydd llun (W) dé Luain (I); Tuesday dydd Mawrth (W) dé Máirt (I); and Saturday is dydd Sadwrn (W) dé Sathairn (I). Sunday is dydd Sul (W) dé Domhnaigh (I); Wednesday is dydd Mercher (W) dé Céadaoin (I); Thursday is dydd Iau (W) dé Déardaoin (I); and Friday is dydd Gwener[vii] (W) dé hAoine (I). If readers know of a verifiable explanation for the diurnal difference, such information would be received with one hundred thousand welcomes. Perhaps it is another example of Welsh and Irish being cousins rather than brothers/sisters, but the processes of eclipse and aspiration which happen in Irish appear also in Welsh, if under the more generic description of linguistic mutation. Whatever the categorisation, the broad phenomenon is common to both languages. The Welsh place-name Bangor is the same word in English and Welsh. However, when you say “in Bangor”, the name mutates when spoken in Welsh to ym Mangor. “In Wales” spectularly mutates Cymru to yng Nghymru[viii]. The Welsh word for a pub is tafarn. Saying in the pub and the noun mutates to become yn y dafarn. With words like school, ysgol in Welsh, in the school remains yn yr ysgol. In Irish, “in County Tyrone” reads as i gcontae Thír Eoghain, with the c of contae eclipsed by a g and the T in Tír aspirated with a seibhiú. Preceeding a vowel-led place-name, some cases change the Irish i (meaning in) to in. Hence, “in Holywood” reads in Ard Mhic Nasca; while in some other vowel-led place-names the Irish i changes to san. Examples are san Iúr in Newry and san Ómaigh, in Omagh. Being my birthplace, the latter deserves an honourable mention. The reason for insertion of the n in these cases is that some place-names are known in Irish as “the” (say Omagh), An Ómaigh in Irish; and the vowel in the definite article An demands an n to accompany the word in, i or sa becoming in or san before somewhere beginning with another vowel. Counting in Welsh highlights instances of where mutation occurs and where it is absent. For example, nothing mutates from one to nineteen; yet between 20-29, every number mutates the word for ten, deg in Welsh, to ddeg. This produces dau ddeg, which means twenty, or literally two ten. It continues with dau ddeg un 21, dau ddeg dau 22, dau ddeg tri 23, dau ddeg pedwar 24, dau ddeg pump 25, dau ddeg chwech 26, dau ddeg saith 27, dau ddeg wyth 28, and dau ddeg nau 29. Inexplicably (to me) and what makes the process so endearing is the fact that no further mutation happens in any of the other decades, thirties to nineties inclusive. Mutation returns for some but not all of the hundreds. Irish contains four types of numerals - cardinal numbers, cardinal numbers with noun, personal numbers, and ordinal numbers. Little mutation occurs with cardinal numbers, apart from number one which changes from aon to a haon, eight which changes from ocht to a hocht, eleven becomes a haon déag, and twelve which aspirates the déag to a dó dhéag. Cardinal numbers with a noun sometimes eclipse and occasionally aspirate. For example, “one year” and “two years” cause certain nouns’ first letter to be aspirated – aon bhliain, dhá bhliain; three four five and six years mutate the noun-end, trí bliana ceithre bliana cúig bliana sé bliana; whereas seven eight nine and ten years eclipse the noun – seacht mbliana ocht mbliana naoi mbliana deich mbliana. Welsh has seven vowels, Irish has five. All of them can be elongated by accentuation. Welsh uses a circumflex in all seven (â, ê, î, ô, û, ŵ, ŷ), whereas Irish employs a fada (long) for its vowels (á, é, í, ó, ú). To illustrate the importance of an accent, its influence is such that it can change the meaning of a word – páiste is a child, but paiste is a patch. Place-names and surnames are an important source of information about linguistic, as well as historical and cultural connections between Celtic countries. On occasions place-names and surnames interact as corroborative evidence. Surnames can derive from place-names. The Gaelic Irish word for Wales is An Bhreatain Bheag, Little Britain in English. The fourth most common surname in Ireland is the anglicised name Walsh, or Breatnach in Irish. It means Briton, or literally Welshman. It was taken to Ireland by Welsh Cornish and Cumbrian soldiers during and after the Norman invasion or Ireland. [xi] Variants include Walshe, Welsh, Brannagh and Breathnach. Just as this author’s surname derives from Nordic invaders[xii], the Shakespearean actor Kenneth Branagh the accomplished folk musician Máire Breatnach and the boss of IAG (the parent company of British Airways and Iberia) Willie Walsh - all owe their uninvited visiting antecedents from Little Britain a deferential nod of acknowledgement. The most popular surname in Wales is Jones. Less well-known is the fact that the surname Jones is also found in every Irish county. Another example of a surname popular in both countries is notable for sharing a nominal linguistic root. In Wales, the name Hughes derives from Hu or Huw, meaning fire or inspiration. In Ireland it derives from Ó’hAodhe (grandson of Aodh, phonetically in one syllable uee), and meaning inflammation or fire. Ó’hAodhe is anglicised to Hughes as well as Hayes. As well as meaning the same thing, pronunciation of the Welsh Huw and Irish Aodh sounds similar. Place-names, unsurprisingly, can reflect geographical or architectural features. For example, the English term for mouth of a river is translated into Welsh as Aber and as Béal in Irish. Two words with no resemblance whatsoever, apart from their meaning. Hence, cities such as Abertawe (Swansea) and Béal Feirste (Belfast) express their estuarine existence unambiguously. Incidentally, Aberfala is the Cornish for Falmouth, which sits on the River Fal. Whereas Aber and Béal have no apparent linguistic resemblance, other prefixes are uncannily similar. The Welsh word for island, Ynys, describes the country’s north-westerly off-shore island, Ynys Môn. No Celtic place-name could be more anglicised than Anglesey. The Gaelic Irish word Inis describes the situation of Inis Ceithleann, or Kathleen’s island, Enniskillen the county town of Fermanagh. Interestingly, the same noun Enys appears in Cornish. The noun’s plural is shown in The Scilly Isles, Enesek Syllan. A slightly uncanny if serendipitous comparison. The Welsh word for a castle (or city) is Caer. It is a prefix to several Welsh place-names. Examples include Caerdydd (Cardiff) and Caerfyrddin (Carmarthen). Caer on its own is the Welsh word for the English city of Chester. The Gaelic Irish equivalent, and pronounced almost identically is cathair. It means ringfort or city. For example, Cahir in County Tipperary (pronounced care, not cah-hir) was built around a thirteenth century castle, itself sited on a stone ring-fort. The Cornish surname Pascoe derives from an important festival. It also provides an example of the impact of P and Q Celtic on surnames. Easter in Cornish is Pask. In Welsh it is Pasg. I carried the Paschal Candle as an altar boy one year at Easter Sunday's ceremonial procession. Easter in Irish is Cáisc. Examining Welsh and Cornish words adds to the intrigue from the accidental discovery of connections between Irish and French as a youthful student. To find, for example, that the Welsh and Cornish words for church and book are so similar to Irish (and to the French) stirs the imagination. To learn, at the same time, that other verbs and nouns have no apparent connections, as in four of the week-days while the other three are alike, baffles. And yet both Welsh and Irish use forms which create linguistic mutation – what seems like a common Celtic trait. Visitors to our home nations love the fact that our place-names and surnames look almost unpronounceable yet can be translated into English. Surnames can reveal historical clues about events like battles. Invasion from Wales to Ireland many hundreds of years ago is reflected by the prominence of two highlighted surnames. I recall the BBC's veteran Irish broadcaster Terry Wogan rationalising Ireland’s successes in the Eurovision Song Contest as being because Ireland is the only country never to have invaded anywhere. And now I discover that even Wales invaded us way back. But to find another example of a surname, like Hughes, which is not a transported name, evolving from the same linguistic root and independently of each other in both countries speaks to a similarity of cultural mindset in the two Celtic nations. The explanation for the co-existence of philological similarities juxtaposed with striking differences seem to attest empirically to the fact of there being two distinctive branches of Celtic linguistics. Could this be the real origin of the phrase “mind your Ps and Qs?" The good news is that everybody knows what the most important, yet totally dissimilar, terms of endearment mean in Welsh and in Irish - Iechyd da and sláinte. As a mark of our internationalist credentials, the closing list shows how the sentiment is expressed elsewhere. [xii] “The name Somhairle and its clan” H Palsson, from “So Many People, Longages & Tonges,” Edinburgh 1981.